There is nothing like a brand new shiny pair of pointe shoes. Unfortunately, they do not come pre-sewn as dancers are very particular about the way they sew and break in new pointe shoes. The relationship with your shoes becomes very personal as you become one with the shoes and they cycle through the “new” to “perfect” to “dead” stages. One way to get the most out of your shoes is to sew them properly. 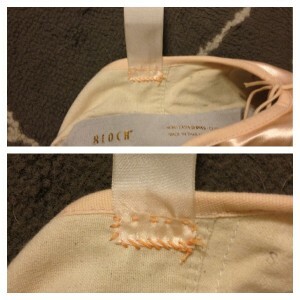 This is the method that I’ve come to rely on when sewing my pointe shoes. Soften the shank: massage the demi pointe area of the shank a few inches from the heel. I like to bend them back and forth, being careful not to break the shank. This is what will support your arches while on pointe, so it needs to be somewhat stiff. Soften the box: a good ol’ fashioned bang against a hard floor will do the trick. Dance in them: nothing can break in your shoe like a few sessions at the barre. Relevés and roll throughs with plié are my favorite. Start by folding the back of the shoe inside out. Sew one end of the elastic directly next to the back seam. Begin sewing in one corner of the elastic and sew around all four sides as seen above. Measure where to sew the other end by pulling the elastic across the top of your ankle and make a mark on the inside of the elastic at the point that it feels snug. Repeat on the other side of the back seam. There are a few methods when it comes to sewing the ribbons. Some dancers prefer to keep the ribbon in one continuous string that passes under the arch of the foot and others prefer to stagger the ribbons based on which shoe they are sewing. 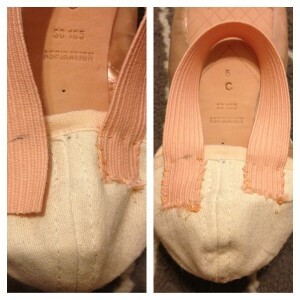 The method that I prefer is to sew them adjacent to the center seam of the shoe. I prefer this method as it allows the ribbons to lay flush against the top of your feet when you are standing flat and when on pointe. Take the package of ribbon, fold in half once and again once more. Singe the ends of each ribbon with a lighter to avoid fraying. Fold the end of the ribbon where you’ll be sewing 1/4 of an inch. Follow the same steps as sewing the elastic, being sure to only sew through the inner canvas layer with small stitches. 1) Be sure to only sew through the canvas layer on the inside of the shoe so that stitches are not visible from the outside. Some dancers like to sew all the way up to the drawstring casing, but I prefer to stop just below. It is a matter of preference, but be careful never to sew through the drawstring. 2) When tying the drawstring itself, no matter how tempting it may be to cut the extra- resist! You’ll be much happier that you tucked the bow underneath the vamp. You don’t want to accidentally tie it too tight and be stuck with digging drawstrings in your achilles. 3) When tying the ribbons for your shoes, be sure to tie the knot on the inner ankle. Tying the knot on the outside or back of your ankle can be dangerous and cause injuries. 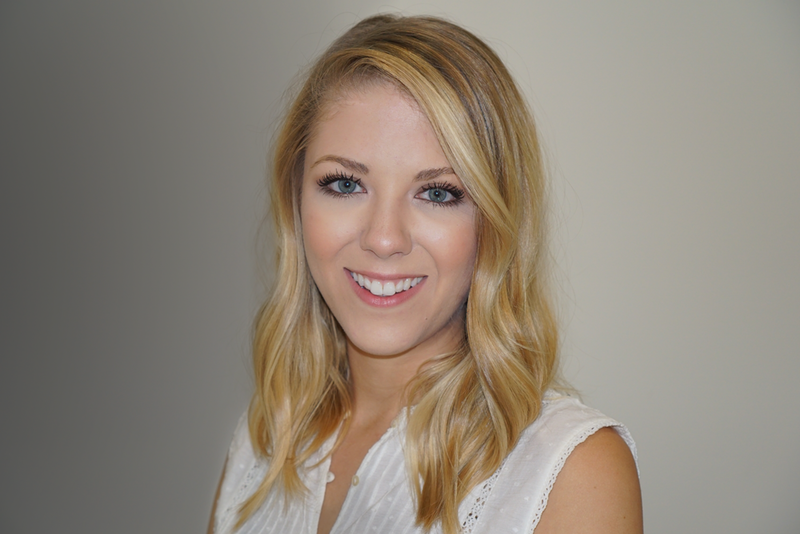 For more information, Gaynor Minden offers a great resource for fitting, breaking in, and sewing your pointe shoes here. Happy dancing! This entry was posted in Experiment, Personal and tagged Ballet, Crafts. Bookmark the permalink. Thank you for showing the elastics sewn on the inside of the shoe. Thought my head was about to pop off from all the pics and vids of the elastics sewn on the outside. just like a bra strap, keep stitches, strings and knots out of view. Great tutorial! This is great! Used it only once, but plan to do it again. THANKS EMMA!!!!!!!! Great explanation how to sew pointe shoes. The best explanation & photos I’ve seen. Thanks for keeping it simple. This is so helpful, but I still screwed it up. the shoelase in front, to tighten my pointe shoe, dissapeared into the shoe and I don’t know how to pull it back out. if your drawstring has disappeared into the casing, here’s a good tip to fish it out. attach a tiny safety pin to the side of the lace that’s still visible. it’s important that the safety pin is small enough that it can pass through the drawstring casing (the tube of fabric that holds the string) easily. once the pin is attached to the drawstring, pull the whole string out. then, you can use the safety pin to push the drawstring all the way through the shoe again — just take care to hold onto the lose end of the string so it doesn’t disappear again! So I just got new point shoes online and they are different from the one I usually get cause I wanted to try something new, but these new pointe shoes only have one layer on fabric where the ribbons should be sewn. The satin and inner lining are stuck together. Have any tips? At least to make it look prettier? I’d recommend sewing as close to the seam (both in the middle of the shoe, and close to the drawstring) as possible and avoid doing the four-sided outline that is showed in the picture. Instead just sewing parallel to the drawstring seam. That way the stitches are almost hidden by the drawstring seam. Another option could be to have the ribbon in one continuous string that passes under the arch of the foot and secure on either side of the sole, that way any thread that shows on the outside would only be on the bottom of your foot. If you think of any other solutions, definitely let me know and share them here in the comments. Good luck! My daughter has an extreme arch in her foot. The teacher has asked us to sew elastic in the front section of her pointe ballet shoes just above her toe. How can we do this? I have tried a curved needle and was unsuccessful.